Selling my 2017 KLR due to lack of use. This is a wonderful, fun motorcycle, but with work and kids, I just don't get to use it as much as I'd like. In perfect shape, great red colour, easy to ride and easy on gas. 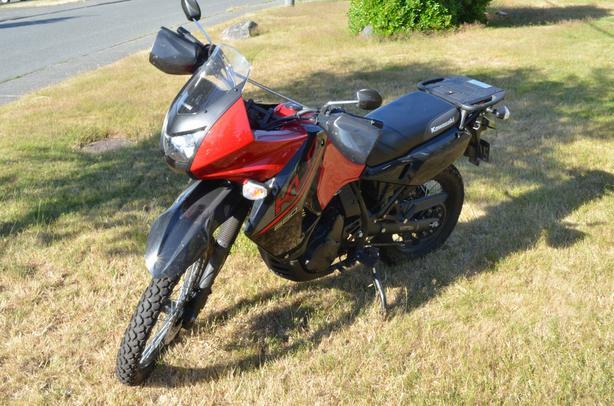 The KLR has less than 2000 km, carefully ridden in, with brand new synthetic oil and filter. Absolutely ready to go. Come and have a look! Feel free to contact me with any questions. $5275 obo. PS. It's not clean in the pictures-- sorry!